Okay, maybe you’ve had enough with the clichés, but you can’t say these ones aren’t true, right?! Time just never seems to be on anyone’s side when it comes to exercising. You’ve got children to tend to. Deadlines to meet. Dinner to make. Games to attend. The list goes on and on! But prioritizing your health doesn’t have to be put on the backburner just because your time is sucked up by everyone else. You may hate to hear it, but the excuses that you just don’t have enough time to work on your physical health are no longer valid. You don’t have to power through hours at a time at the gym to stay healthy. Shorter bouts of intense exercise are incredibly effective at helping you to see the results you’d hope to see from working out. If you’ve got 30 minutes, you’ve got time to focus on a great workout (c’mon, everyone has 30 minutes in their day, even if it means setting that alarm a little earlier!). “Don’t just skip because you don’t have an entire hour. 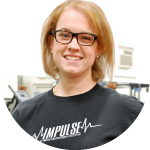 Short bouts will still give you energy for your day, as well as help your body burn more calories throughout your day even after you finish exercising,” says Kristin. And if you’re going to go short, HIIT Training (High Intensity Interval Training) is best for stimulating your heart rate and muscles to their max. Doing this kind of stimulation over time, according to Evan, “trains your body’s anaerobic system, resulting in more muscle tone.” It also forces your aerobic system to work more efficiently for recovery and (bonus!) prolonged endurance. In other words, shorter bursts of exercise and movement are enough to get your heart rate percentage high enough to benefit your health. SO GET MOVING! 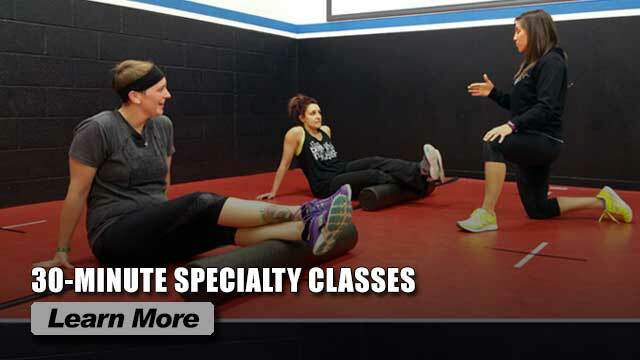 Check out our 30 minute Specialty Training classes that we now offer to get your heart rate up and on with the rest of your day!